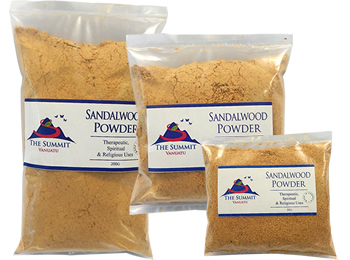 Sandalwood Powder has Therapeutic, Spiritual & Religious Uses. 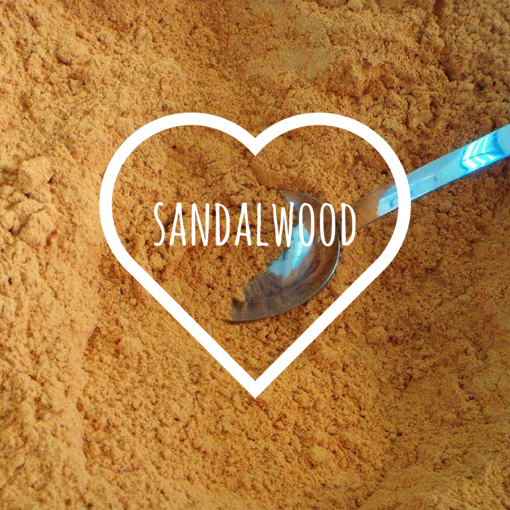 Our sandalwood powder is ground from the heartwood of the tree, and contains over 6% of the valuable Sandalwood Oil. Naturally, as for all our botanicals, we source our sandalwood ethically from sustainably grown trees that are traceable to their source. We proudly support smallholder farming communities. Currently, an extensive planting programme is underway on Tanna Island where seedlings have been distributed to Tanna Coffee smallholder farmers with a view to securing long term family security. 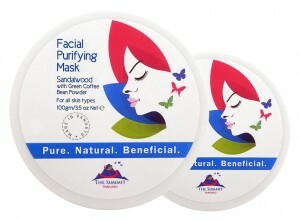 Our sandalwood powder, is light-brown in colour, and has the same anti-microbial and antiseptic qualities of the oil. Used as a face mask base, an even, smooth skin tone and a radiant, healthy glow can be achieved with just one application. 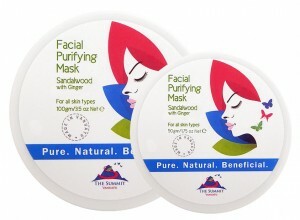 A mask may be made at home from scratch or added to an existing product. 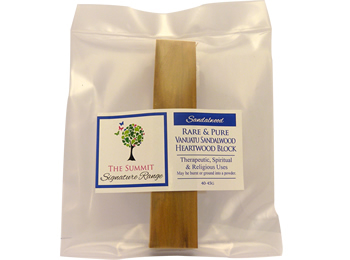 The principle ingredient in The Summit Facial Mask is Sandalwood Powder and it is also an active ingredient in our soaps and The Summit Body Polish. Added to muds and peeling wraps Sandalwood Powder’s moistening, astringent and balancing qualities give a genuine boost to skin health, promoting natural hydration and elasticity. It is also highly effective in treatments for sensitive skin, redness and skin complaints such as acne, blackheads and the like. In addition, Sandalwood Powder is often used for religious purposes, for mixing pastes as well as for burning and in the making of incense sticks for its sensual, mind-calming fragrance that lingers. Our powder burns readily, with a wonderful aroma and plenty of smoke. Naturally, as for all our botanicals, we source our sandalwood ethically from sustainably grown trees that are traceable to their source. We proudly support smallholder farming communities. Currently, an extensive planting programme is underway on Tanna Island where sandalwood seedlings have been distributed to Tanna Coffee smallholder farmers with a view to securing long term family security. Oil rich sandalwood powder is perfect as a gentle exfoliant or applied as face mask with drawing and astringent properties. Can be burnt as very exotic incense. The powder needs other ingredients to make the sticky application. Favourites include turmeric, chick pea flour, lemon juice, honey and milk. About 5-10 of the mixture should comprise the sandalwood powder. Apply to your face or body and wait until it reaches a dry/semi-dry condition. Then wash off when you fee like it. Enjoy the wonderful smoothing and toning effect of the sandalwood. Pile up about 2 teaspoons of sandalwood powder on a dish. Light well, preferably using a gas lighter, and enjoy the aromatic smoke. I burned your sandalwood powder yesterday on some bamboo charcoal and the aroma was magnificent. Such a beautiful incense. I am going to use it in a face mask tonight. Thanks for this high quality powder. We truly appreciate your review Andrea! May you also try and enjoy our other pure, natural, beneficial health & body products! After searching and ending up receiving FAKE sandalwood powders so many times, I’m so happy to come across Vanuatu Sandalwood. This is the real stuff. Real fragrant sandalwood powder I use as incense. I wish they also sell Sandalwood chips. Thank you Vanuatu from USA!